"Easily refuted", I think not. Please give us the exact text of what you claim Mattogno says concerning the supposed crematorium in Theresienstadt in 31 minutes. And who's talking about Theresienstadt anyway? Bodies cannot be CREMATED using 3.5 kg of coke, in fact, they cannot even be INCINERATED using 3.5 kg of coke, although, in both cremation ovens and incinerators, combustible material, such as fat, can assist the burning process. "Hans" nonsensical and deceitful post is typical for the troll calling himself much too sympathetic sounding “Hans”. For he is totally off topic with it (and he and neander already shamefully bite the dust with it in my last posting in "How many cremations occurred in Auschwitz I & II during WWII?" viewtopic.php?f=2&t=6160 ) I will only concisely react to Hans here. To have all his ‘arguments’ repeatedly factual bullied is no reason for 'Hans' to stop spreading his misinformation. Although I cut effectively his head off in my aforementioned post, he belongs to a species who’s crawling and twisting after that. As a matter of fact, only the mere slimy and creepy species do so. He drives this so far as to misquote Carlo Mattogno about the petrol-fired ovens by Ignis-Hüttenbau in Terezin. According to Mattogno, these ovens were totally different of those of A-B. Not only petrol-fired, but two times larger (2,34 m³ and not 1,12 m³), with twelve powerful air nozzles and a principal different, twofold incineration system. The first stage of combustion (in the first part of the oven) dehydrated the body in an average time of 35-36 minutes; after that, the remains were pushed in the back of the oven by the next body. In the post-combustion chamber the cremation process was continued for another 15 minutes. The total cremation time in these by far the most efficient special petrol-fired ovens at that time in Terezin was somewhere between 40 and 50 minutes. One wonders why those stupid Nazi's in 1942 installed these futuristic ovens in a “non-extermination” camp to build one year later (1943) in A-B old-fashioned mediocre coke-ovens to “play a decisive role in the extermination of the jews” (Van Pelt). Hans: Now we are down to 30 min. That's a major progress. No.It's the same old deceiver BS all over again. Lohengrin wrote: He drives this so far as to misquote Carlo Mattogno about the petrol-fired ovens by Ignis-Hüttenbau in Terezin. Moderator wrote: No namecalling, threats, or personnal attacks; period. Actually I did reply to your posting there and pointing out your errors. Unfortunately, and for no real reason, the posting was silently and without explanation deleted by moderator3. You should complain to him. According to Mattogno, these ovens were totally different of those of A-B. Except that Cat Scan never said this conclusion his restricted to Auschwitz-Birkenau, but it sounds like a general statement on crematoria ovens. Not only petrol-fired, but two times larger (2,34 m³ and not 1,12 m³), with twelve powerful air nozzles and a principal different, twofold incineration system. 2. Exactly the same "twofold incineration system" was applied in Auschwitz. There is nothing "principal different" here. 3. You provide no proof that the coke-firing, the smaller muffle, or the less air nozzles would have make this procedure impossible. Same for Mattogno, of course. "Easily refuted", I think not. Please give us the exact text of what you claim Mattogno says concerning the supposed crematorium in Theresienstadt in 31 minutes. * The minimal average cremation time on a single day was about 32 min. in oven no. 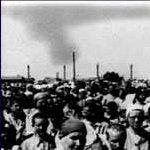 III (November 9, 1943, with 23 cremations) and about 31 min. in oven no. IV (October 10.)" And who's talking about Theresienstadt anyway? 1. Cat Scan did not limit his conclusion to Auschwitz-Birkenau. 2. The Topf 3-muffle in Birkenau was operated in a similiar way as the Ignis-Hüttenstadt in Theresienstadt. His argument may be true for a single cremation, but he does not take into account (as Mattogno by the way) that there were corpses in different cremation stages and heat requirements inside the muffle at the same time. Why was that a problem previously? * The average duration of all cremations was about 36 min. in both ovens. * 491 of the 682 cremations, for which the duration is indicated, lasted 35 minutes or less (72%,); 22% lasted between 40 and 45 min., 42 lasted between 50 and 60 min., 1 lasted more than 60 min. * In average, it took some 35 min. to cremate a female corpse, and around 36 min. to cremate a male corpse. The point with any cremation is to add heat energy to the corpse. The faster you can add heat energy to a corpse the faster the cremation is performed, speeding it up can make it however less economic, i.e. pressing for more heat on the object can lead to an energy loss elsewhere, the fuel being used can be more costly etc. Hans wrote: 2. The Topf 3-muffle in Birkenau was operated in a similiar way as the Ignis-Hüttenstadt in Theresienstadt. Additionally, they were equipped with a powerful forced-draft blower and an adjustable oil burner. He, as expected, compares apples to oranges. The Topf 3-muffle in Birkenau was operated in a similiar way as the Ignis-Hüttenstadt in Theresienstadt. Obviously impossible given the vast differences between the Auschwitz / Birkenau crematoriums and those at Theresienstadt.